This past April, I decided to drive down to New Orleans. I hadn’t really explored the Southeast too much, so I planned my trip be as comprehensive a review of the area as I could manage in a week. I went down the Blue Ridge Parkway, spent a night in Asheville, NC, hiked around Great Smoky Mountains National Park, had a friend show me around Birmingham, AL, and finally ended up in the French Quarter of New Orleans. When I got settled in and started exploring, I found that the general consensus was that my plan to leave on Friday was a travesty, because that Friday was the first day of the French Quarter Festival. 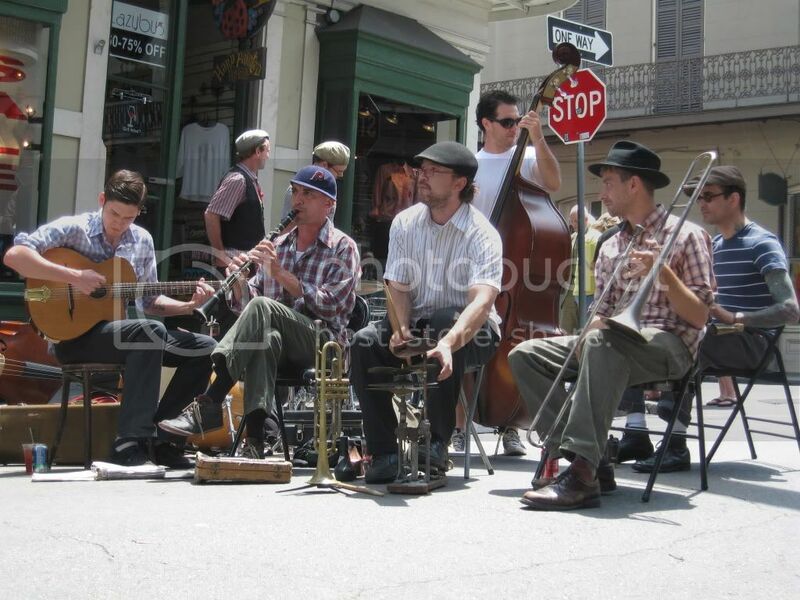 According to the handful of people I talked to, the French Quarter Festival was the best music festival New Orleans had to offer, and it was free. Even on the Thursday before things were officially kicked off, as I was exploring the French Quarter I could feel the sense of excitement, and see the preparations being made. Several streets had already been closed off by the police, and street musicians had set up in the middle of the road to play for tips. I also ran into a two roving marching bands outside the Café Du Mond. The bands briefly melded together for a short jam session before splitting up, and going there separate ways without missing a beat. This wasn’t amateur hour either. The musicians were talented and the band was tight. It was clear they lived to perform the music they loved. The most memorable of these acts were The Loose Marbles. As their Facebook page is sparse let me point you to this article, Loose Marbles by The New Yorker, for a more detailed and colorful description of the band. I was quickly falling in love with New Orleans. Never have I been to a city that breathed music like that. Unfortunately in an uncharacteristic moment of actually planning out my trip, I had already reserved a hotel on the border of TN and VA for Friday night. I had to tear myself away from the festivities or risk loosing my room deposit and being late for work on Monday. It was with a heavy heart I left New Orleans, filled with regret over missing the festival. 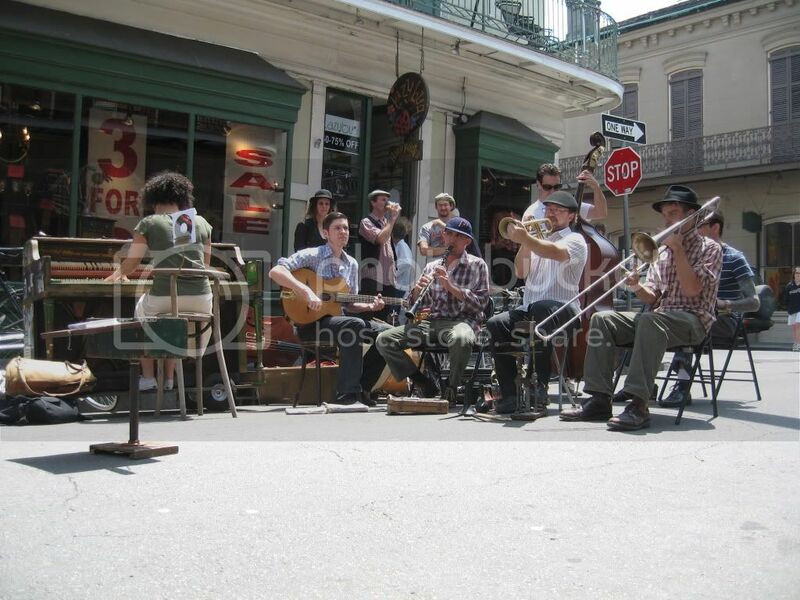 So now, I’ve already begun planning for French Quarter Festival 2010. They haven’t posted the schedule yet, though I’m sure it will be impressive, but they have announced the dates. April 9 - 11, 2010: mark your calendars, people! Did I mention it’s free? Since you don’t have to budget for tickets, surely you can afford transportation and accommodations.